I'm no good with amphibians. Don't know what's going on with this guys genes. He's a wild caught frog from a local lake in the suburbs of Chicago. 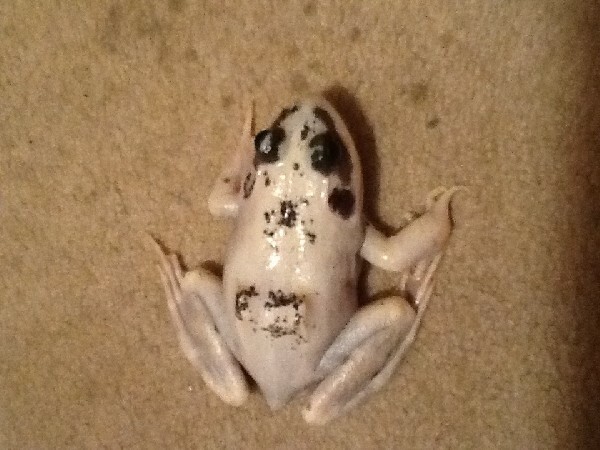 Pure white belly, normal classic-green bullfrog colors coming through a bit on the back but mostly on the head. Nor,al colored eyes as far as I can tell. Since they aren't pink I don't think he's albino and since they're not black i don't think he's leucistic. Appreciate any and all help and input. Thanks for looking. Never bred bullfrogs but I guess I'll give it a shot.